This guide provides access points to many of the tools you will need for your research including access points for searching for e-Books, databases and specific journals. Rapid ILL is the Interlibrary loan tool for articles which you cannot get in full-text format. Simply order articles by clicking on the button. 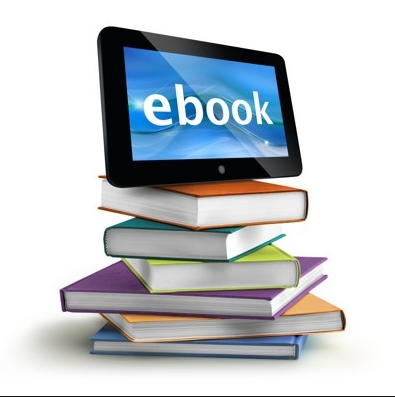 Click on one of the e-book links below to access a search box for e-books. Create a list of search terms and experiment using them to search for relevant materials. You may also use the many limiters provided by the search mechanism. Different e-book databases use different limiter systems so you will have to look around on each site. Fine tune your search by selecting additional specific subjects- which many times are already listed after you perform a general search. Some limiters include date range, geographic locations, related subjects. An ebook database with access to 150,000+ fulltext titles. Search and view the full text of eBooks in EBSCOhost. Contains over 30,000 books in the humanities and social sciences. ACLS Humanities E-Book (HEB) is an online collection of approximately 4,300 books of high quality in the humanities. 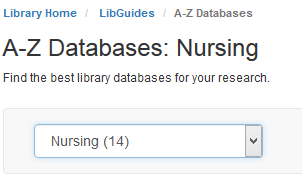 Click on the image to go to the library's database page accessing the "nursing databases."